Now that the Presidential Primary in Delaware is over we can begin to turn our attention toward the local and statewide races. To make this pivot possible, is a quick review of what Delaware Right strives to accomplish. I hope that since we arrived in the Delaware Blogasphere we have encouraged a conversation on the topics of interest to our communities. We have expressed opinions, agree or disagree, without being disagreeable. We look forward to the upcoming election season. Please fasten your seat belt, put your trays in their upright position and prepare for take off. 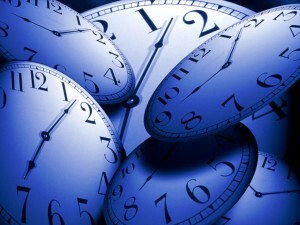 It’s Time ! From February 6, 2013, In the Beginning. We will put forth conservative ideas on how to move the political process forward, and we will welcome all who wish to challenge those ideas in a manner that will be conducive to solving the problems and challenges that we here in Delaware face on a day to day basis. In the open debate of ideas, all will benefit from the honing of the ideas put forth. We will work to mold the conservative message, into a message, that will be heard not only by our fellow conservatives, but one that can be delivered to the political center and even the political left, for if we truly see our message as being the correct message, then it is only a matter of delivering it properly, so as to convince more people of its correctness. However, in delivering that conservative message, we cannot allow ourselves to become closed minded; we must be willing to listen, as well as to speak. We must be open to the ideas and thoughts of others; it is when we listen, that we learn the most. We will stand upon a platform that is multi-dimensional, but that is committed to Conservative Principles. These Conservative Principals include, but are not limited to, the idea of limited government, that the power of government flows from the People, and the consent of the governed. We believe that Liberty and prosperity flows to everyone from and through a free market, capitalist system that allows for the pursuit of happiness without any guarantees, and that the role of government in this system, is as a referee, not a participant. We believe in personal responsibility, and that each of us is accountable for their own actions and that the level of success will be equal to the amount of effort that we put forth. We still believe that the single most pressing issue of the day is re-building a strong economy and returning people to work and the opportunity for prosperity. If anyone thinks the “new normal” is an acceptable concept, they are mistaken. We here at Delaware Right will hold true to the traditional values and Conservative Principles that have made Delaware and these United States the freest place to live, bar none. Now it’s April 2014, how we doin’? 7 Comments on "It’s Time"
It seems that there is a disturbing trend where groups of leftist type antagonizers try to stifle “the free exchange of ideas” by physically blocking people from getting into venues where there is speech that they disagree with, and if they can’t succeed in blocking people, they infiltrate and disrupt whoever is speaking at the venue. The political mobs have also been reported to engage in the destruction of property as well as violence. Yeah, “conservative” regulars like Honi Soit, Delacrat, mouse and Nitpicker. And the Republican “people” in Delaware voted overwhelmingly for Trump. Which is a great reason to support Trump. 1. Rick is a conservative. I plan to continue raising the discussion by pointing out apparent flaws in reasoning as well as baseless or dubious claims. And I would hope others do the same to me. Well, Rick, if more people agreed with you, they’d be regular too. But most regular people don’t spend so much time fixated on secession and civil war fantasies, or counting how many Jews control media companies. These are not normal lines of political discussion. Well, they are “normal” in a certain vein, but not among “regular” conservatives (or what used to be regular conservatives). Fantasy? Don’t bet on it. Rick: Yeah, “conservative” regulars like Honi Soit, Delacrat, mouse and Nitpicker. Honi Solt, Delacrat, mouse and Nitpicker are regulars on this site and are not conservatives. Period. Attacking the messenger is fruitless, but worthy of Alinsky. Thanks for proving my point. 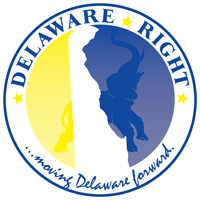 You are saying only people who agree with thou should comment on delawareright.com ? Not at all. Annihilating leftist drivel is a hobby of mine. I merely pointed-out the fact that most of the regulars on this blog are either moderate or “liberal”….not conservative. Luckily, on Frank’s blog and unlike on Pandora’s blog (DL), conservative positions are not censored. Of course, most hard-core “liberals” would vote for Stalin, so accepting censorship is just a natural state-of-mind for them. ← What Is A Candidate?